Our beautiful 2 bedroom / 2 bath villa has a fully equipped kitchen to your convenience. The oversized flatscreen has cable and a DVD player. The outside Lanai has a sink, a dinner table with 4 chairs and 2 lounge chairs to catch some sun!!! This is a very bright and sunny villa. It's done in beautiful colors and is extremely clean!!! It's has great lighting throughout the day and you seldom have to use the AC. The breeze is very pleasant. FREE WIFI AND PARKING. The AAA 3-Diamond rated Vista Waikoloa condominiums are larger than most properties and have extra living space and ceiling fans for natural ventilation. Unit has air conditioner. Just 20 minutes North of Kona International Airport, Vista Waikoloa resides in a unique and historic setting at Waikoloa Beach Resort. It is located in the center of the resort providing varied views and easy access to many of the resort's finest amenities. 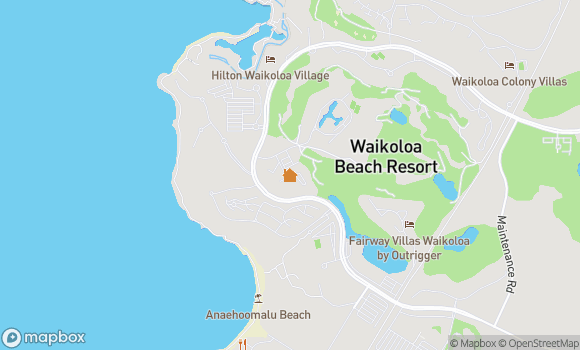 With a short walk you'll find a white sand beach ("A" Bay), the Hilton Waikoloa Resort, the Waikoloa Marriott Hotel, tennis courts, the beach trail, and the King's Shops. The Vista's recreation center has a swimming pool large enough to appeal to the fitness lap swimmer, two whirlpools, changing rooms and plenty of space for just relaxing and getting a golden tan in the privacy of the Vista Waikoloa complex. The Vista is a very special property. The is VERY VERY quiet and private. It's a safe gated community with many amenities. The newly renovated pool is known to one of the best on the island!!! It is salt water and has two huge hot tubs. One hot and the other hotter. It is a large pool with over stuffed new cushions on the lounge chairs. Guests that have stayed in here in the Vista's come back year after year!! They are the best built condo's in the Beach Resort. That makes them very private and you can't hear upstairs guests!!! The Pavilion is a great place to enjoy the scenery while you BBQ. There four new BBQ's so waiting is never a problem. There are table, chairs and a little kitchen and ice maker. The fitness room is all brand new and has cold AC. The office has everything you will need to attend to business if needed. You can hear the Marriot Luau's drums and music a few times a week in the evenings!! Dining, Shopping and Live Entertainment are only a short walk to the Kings' Shops and Queens' Marketplace. The famous A-Bay beach is also a short walk!! CANCELLATION POLICY 61+ DAYS IS A $150 ADMINISTRATION FEE AND 60 DAYS and less is a full forfeiture unless property is rented during the time period. WHILE PROPERTY MANAGER MAY CANCEL YOUR RESERVATION FOR FAILURE TO PROVIDE FULL PAYMENT BY THE REQUIRED DATE, Any Customer who refuses to use services contracted for forfeits any and all collected money, except the Customer's security deposit and cleaning fee (if applicable). The security deposit and pre-paid cleaning fee are not part of the initial deposit to hold the rental. The security deposit and pre-paid cleaning fee (if applicable) are included in the balance payment, therefore, the initial deposit will be forfeited if you refuse to fulfill your scheduled stay after confirmation of booking. Collected money is non-refundable after 60 days of arrival. Under no circumstances shall Customer be able to determine if a rental unit is unfit for habitation. If you as Customer forfeit your right to services contracted for, and Property Manager is able to re-book the property at the same rate, you will be issued a pro-rata refund for those dates re-booked. All refunds of rental service payments, whether complete or pro-rata, will be subject to a deduction equal to as much as 15% of deposit(s) paid. Customer shall give Property Manager, twenty four (24) hours to clean the rental that you might deem dirty upon check in. Customer also gives Property Manager, twenty four (24) hours to address any allegations that bugs or pests are in the rental. Ultimately, in order for you to claim the premises are unacceptable due to issues of cleanliness or bug/pest infestation, you must obtain a third-party opinion letter within forty eight (48) hours of arrival, (from a professional not staying in the rental that has physically witnessed the issue) to corroborate any allegations of poor quality services or accommodations. Any changes made after booking shall be wholly at Property Manager's discretion. There is no "reasonable" change of accommodation that this agreement requires Property Manager to make. If Customer complains about the condition of the rental, the amount of Security Deposit being withheld and or service they received from the Property Manager and or Property Manager's employees or contractors, KPC will work in good faith to help Property Manager and Customer reach a mutually acceptable resolution..
Any CHANGES made to a booking after a confirmation has been issued will be assessed a $150.00 service fee. Acceptance of any change is subject to approval by the Property Manager of the rental. *Full Forfeiture: Refunds on any forfeiture will be issued to the extent of the dollar value the unit(s) is re-rented during the same dates as the cancelled reservation. Kohala Coast Properties, Inc. strongly recommends the purchase of trip interruption/trip cancelation insurance to help protect against financial losses if trip delay or cancelation is necessitated by certain kinds of unforeseen circumstances. My family and I (13 Members) stayed in 3 units of Vista Waikaloa for 2 amazing weeks. The two units that we rented through Kohala Coast were well maintained and nicely supplied with extras such as boogie boards and spices in the cupboard. When there was an issue, it was dealt with nicely." The condo is need of updating. The beds are acceptable. The ancient rattan couch is an instrument of torture. The kitchen has good pans but lacks flatware and cooking utensils. There are no oven mitts or barbecue tools. The refrigerator is new and makes plenty of ice. The TVs are fine and the wifi excellent. There are boogie boards but no usable beach chairs. The lanai furniture is old, stretched out and uncomfortable. Everything was manageable for a week or so but two weeks into our month-long stay we were tired of the inconveniences and discomforts." "What is not to like! Large open floor plan, comfortable, quiet. We have been to the big island 8 times and this is the best lodging yet. Location, quiet, price, plenty of shops and places to eat nearby. Right on the golf course but we don't golf. Loved it. I have never submitted a review until now. Great folks too." Our stay was amazing. the condo was just perfect for our family with 2 teenagers. The proximity to shops and the beach was just right. We enjoyed it very much. " Our family of 5 enjoyed the Vista E105. The condo was much nicer then the pictures. Plenty of space, very clean and comfortable. There is no BBQ but they are located just a short walk away. We also used the pool which was great. The condo had everything we needed to do our cooking. It was also stocked with boogie boards and beach umbrella. It also had beach chairs but they were not comfortable. Communication with Kohala was also great. The AC went down one night in the whole complex and we got answers even after business hours. Beaches close by were also great. Would recommend. " Aug 01, 2018 - Jean B.
Condo is beautiful - very clean and a nice setting. Pool and grounds are also very nice. Suggest they leave instructions on short cuts to the beach inside the house. The first day we walked a long way to get there but there is a short-cut you can take behind the complex that means the beach is only a 7 minute walk away. Kohala Vacation Rentals weren't much help when we needed to report a lost phone. Other than that, would recommend the property. " Quiet and private with meals on the lanai"
We just stayed for a week at the Vista Waikoloa E105. The things we loved about this unit was it's spaciousness. It was also nice to have beach chairs, boogie boards, a beach umbrella, coolers and ice packs in the freezer. It appears that the bathrooms have been updated with newer shower tiles. In the kitchen there were plenty of dishes for our needs. We especially appreciated having Rubbermaid containers for fruit and leftovers. King bed has seen better days. Definitely time for a new one. Waaay to soft and I had a sore back the whole time I was there. Master shower door leaked out the bottom every time we showered and then we had water to clean up on the floor. The towels and face cloths especially, had a sour smell to them that stayed on your hands and face after use. Sometimes they just need to be replaced regardless of how much bleach and washing is done. The kitchen didn't have any salt so we bought some. That seems like a needed staple in a kitchen. There was cinnamon, pepper and a few other spices but no salt. And plastic wrap would've been nice. There was foil and wax paper but no plastic wrap. Overall, the unit and grounds were nice but the unit and master bedding looked old and tired. It could definitely use a deep clean too. The one door that closes off the 2nd bedroom and laundry from the main hall and kitchen was broken at the top and no longer stayed on the track. The code for the pool provided on the Hospitality App was incorrect. The code on the pool key inside the condo was the correct code. We arrived late at night and there was a dead rat near our door. I spoke to a resident in the morning who said it had been there for several days!! I contacted management and it was gone right away! We chose to buy groceries at TDK in the actual Village of Waikoloa, a few miles away. There was also good selection available right in the Queen's market store called Island Gourmet. " Overall this location is perfect, although I was there on business; it is the perfect place to call home; while away. Everything was beautiful and exceptionally well maintained. Our condo was very nice and clean. Great property. Beautiful grounds and view of golf course and the location is next to the King's Shops, for meals and shopping its a great spot! Michelle is the best, her service is second to none; she is great to deal with and always very responsive to our needs. The location is very easy to check in and out of and easy to find. This was just an outstanding rental experience!!" Mar 13, 2018 - Lil S.
This was an excellent property that was exactly as described. If anything, it was larger and more spacious than we imagined. Everything worked well with a few minor exceptions: the bathtub drain plug didn't work (we engineered a work-around) and the beach equipment was pretty destroyed (think of a mask without a snorkle, flippers without heal straps, etc). With a tiny boost, this property would be ideal! I'll bet, if we cared enough, a simple call could have remedied the beach equipment issue and drain. Everything else was amazing. I especially appreciate the ample dishes, silverware and cooking appliances (rice cooker, too). Well outfitted. Definitely a good place to stay. A bit far from the beach (maybe 8 minute walk once you find the short-cut), and A-Bay beach isn't as sandy and nice as Hapuna, but still. We'd stay here again and would seek out this particular property!" Nice place in a great location"
Feb 18, 2018 - Michele B. We had a wonderful time in Hawaii, and I would recommend staying at this property. It was a great location, and had all the amenities. We loved the pool, beach and close shopping. Michelle was so helpful and was always there to answer questions." Dec 23, 2017 - Donna K.
My brother, sister-in-law and myself had our first two week stay in Kona, Hawaii at this lovely condo. It met all our expectations and more especially coming from small town, wintery Northern Ontario, Canada. We would definitely book this well appointed, clean, away from home property. The grounds were safe and outstanding; the pool a lovely spot with friendly people and a good length for laps. All in all a great experience and would love to come back some day. Dealing with Michelle Coupe from the agency was always a positive and friendly experience. Would just recommend that the company keep codes current for the pool and office. Mahalo for a great vacation. " Dec 13, 2017 - Denise L.
We thoroughly enjoyed our recent stay at Vista E105. The unit was everything we expected and more! Kitchen was well stocked and the unit was very clean and had everything we needed. We would definitely stay here again. It would have been nice if there was some information in the unit about the area, shopping, beaches, dining etc." Lovely place and all needs were met. Was cleaned properly before our arrival and no stains or anything on bedding!! Great location and just peacefully setting in general. Shopping and eating close by and made the Hawaii vacation just that much more enjoyable!!" Very nice accommodation, quiet and comfortable, much more value than getting a hotel or resort room. Close to activities and shopping without the resort and parking fees!" It was very nice and exactly as described. The rental had everything we needed for our stay. The management was very friendly is helping with the booking process. I would defiantly stay again!!" This was our second stay at this two bedroom condo. We absolutely loved it! Very, very nice resort and location. The two bedroom condo is very spacious and nicely updated. When back to Big Island we surly will stay there again. " Apr 29, 2017 - Michael O. It was an incredible stay at this outstanding VRBO. I highly recommend this property and will definitely return." Mar 14, 2017 - Marlin D.
We really enjoyed the location in regards to the beach, stores, running it was close to everything. I wasn't too excited that no one came at least once a week to clean. We have stayed at several locations in Waikaloa and this was a first. Also charging $50.00 if you need a roll of TP, $50.00 if you don't wash the towels, $50.00 if you leave sand in a cooler is a bit much. We also wanted t leave boogie boards at a friends condo in the complex asked the person in the management department five if we could do that, she said she couldn't help us as she was not responsible for his unit. She was not helpful at all. We probably won't stay again..."
Mar 08, 2017 - Cathy L.
We had a great vacation at this property. We could not believe how quiet it was! Hardly heard a noise from any other place. Neighbors were very friendly. Michelle and Marissa were very helpful--coffee pot would not work the first day and a single text brought us a new coffee pot that day. Only thing that took away from a perfect stay was that it was not as clean as it should have been. The dishes were covered with spots. Dust was thick on the doors, under the beds and behind furniture.The dishwasher has a terrible smell when you open it--like it had not been used for awhile or needed a REALLY good cleaning. In the second bedroom, the beds were very hard. The closet had only 1 boggie board --and it was falling apart, but we did make use of the 2 beach chairs and the little cooler. Otherwise, the condo was very well set up. The washer and dryer worked well-but they too needed a good cleaning. " Jan 24, 2017 - Bonnie E.
Beautiful place, well equipped, would definitely stay again." May 12, 2016 - Brenda K.
Very convenient. Great property in general. This unit is fairly basic, but they had good basics: kitchen supplies, beach towels/chairs, furniture and beds were confortable. Stayed for one week and had a great time." Our stay was very nice. The condo is in a great location. It would be great if there was a area map left for guests so they can see how easy it is to access the Hilton and other hotel common-areas on foot from the condo. The only recommendations we would make is that the dishwasher might not be working as well as it should and dishes were not getting that clean. Otherwise it was a great vacation." We had a wonderful time and the rental was great!" This condo is situated on the main floor and made the Lanai feel even larger. The grounds are immaculate. The Condoo is very spacious and decor pleasant. The King size bed was very comfortable and appreciated the ceiling fan above. The kitchen was well stocked with many pots and utensils. The pool was beautiful and heated perfectly and the lawn chairs very comfortable. " Jan 14, 2016 - HOLLY G.
The rental itself was very nice, it was spacious, clean, and comfortable. The kitchen was well equipped with pots, pans, and other cooking stuff. Having some inexpensive salt/pepper, and some basic seasonings, would have made it A+. Otherwise, it was excellent and very comfortable. " Oct 17, 2015 - Sue M.
The condo was in a great place and it was very quiet. The layout was good, but there was only two of us. The cleanliness was not satisfactory, the bedding had to be washed before we could us it and the dishwasher had been closed for some time. Everything that was mentioned as far as the amenities was there and in good shape except for the beach chairs and umbrella they were broken. We loved the condo and all the people we met there, the pool and BBQ area were great. We would stay there again"
Jun 02, 2015 - Greg K., Sparks, Nv. This is a lovely unit. We enjoyed the floor plan, all the windows / light, the view from the lanai, recent repainting and the designer decor. However, the kitchen currently needs some attention to live up to its high quality potential. The kitchen cupboards need a good scrub and sort out. For example, the many mugs with extensively cracked glaze should be thrown away. Several cooking pots badly need replacing - including the frying pans whose teflon finish comes off into your food as you cook!! Also, all cooking knives are serrated, so there are no good blades for keen cooks. The condo wasn't as quiet as a similar one we rented in Hali'i Kai. We could hear footsteps and chairs (although no talking / tv) from the unit above. We could hear many people on other lanais, although they respected the quiet hours (10 pm - 8 am) posted for Vistas. Our air conditioning unit was astonishingly loud - could be an issue for a light sleeper in the second bedroom. Back to positives - we appreciated all the tourist info (including books about Hawaiian birds and flowers) & beach equipment available in our unit. The Vistas pool and exercise center were outstanding, and it was nice to be able to print out boarding passes in the business center. We would stay in this unit again, although we'd enjoy it more if some attention is given to the kitchen :)"
This condo was in a nice location, very clean and was quiet and relaxing. Our only complaint was not enough bedding to use all the sleeping areas offered (i.e. sleeper sofa)." "Great pool and hot tubs! We stayed two weeks here and really enjoyed our time there. The pool, hot tub area and the barbeque area are absolutely great. It would be nice if the pool closed at 10 pm instead of 9 pm. but it is a great pool. We were missing any kind of binder with information in our condo so we didn't have any area information or specific information about the rental itself. Luckily, I had taken my laptop so we were able to email for management for details. They emailed back specific checkout details but really no area information so was a bit disappointing. The location could not be better, it was handy for everything we wanted to do on the Island. The chairs on the lanai were somewhat uncomfortable - they need some cushions! The kitchen was well equipped and the beach chairs and coolers were much appreciated." The Vista was very quiet, loved the heated saline pool. Convenient walk to shops, great restaurants in the area. Home owners at the Vista were very friendly & eager to suggest restaurants & places to see. Hope to book there next year." Feb 15, 2014 - Patricia C.
Great property, found the other guests to be very friendly and enjoyed meeting new people around the bbq's. " Unit could use some touch up on paint. It was clean. The property managers where helpful and accommodating. " Jan 25, 2014 - Steven W.
This was our first condo rental in Hawaii, and the experience was great. No hassles in the rental process, and the management company kept us informed from the day we made the reservation. The rental was everything we thought it would be and more. Lot's of space, clean, new furniture. Loved eating breakfast on the patio every morning. Enjoyed walking to the King's Shops and the Queen's market. The local beach was excellent as well. No real complaints. Much better than a hotel stay, especially for the money. Look forward to doing it again." Jan 24, 2014 - Steven B. "Great family stay in Waikoloa! This condo was fantastic for my little family. The kitchen was nicer than mine at home. The location of the Condo is within short walking distance of the Beach the Hilton and the Shops. Kohala Coast Properties were very accommodating and provided quick answer to any questions I had, I would definitely book another rental through them. Thanks for making it easy for us to have a great time!" Oct 02, 2013 - Aaron B. Great pool for lap swimming. Condo was renovated which made a big difference"
This ad has been viewed 596 times.